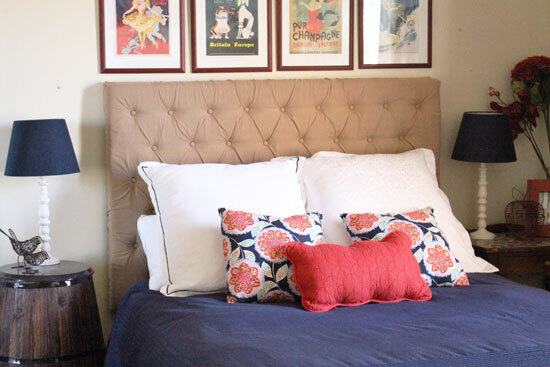 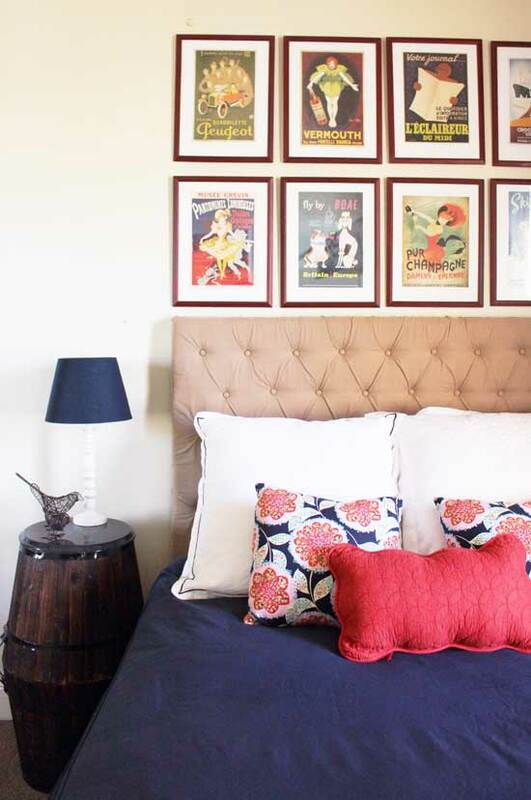 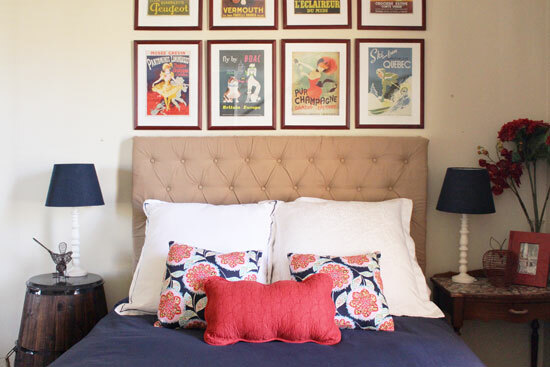 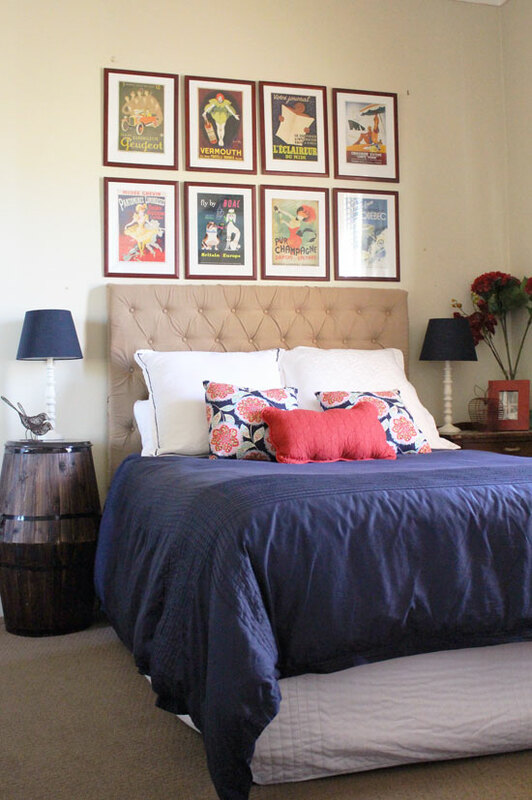 I was really excited to finally hang my DIY tufted headboard on the wall in the navy room at RedAgape Guesthouse. 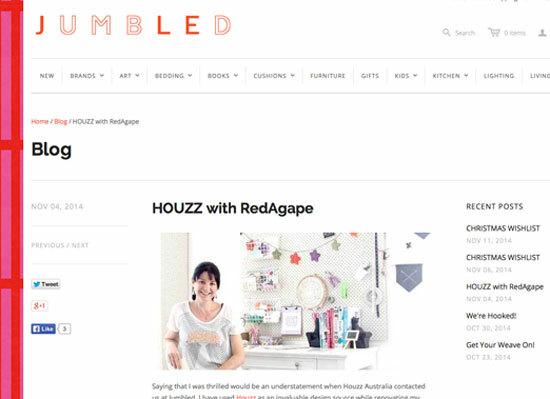 You can find the tutorial here if you are keen to make one for yourself. 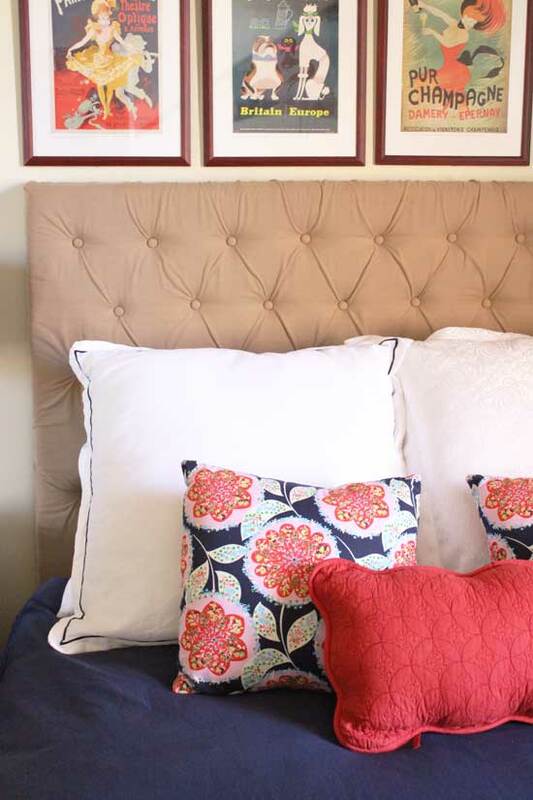 It is a challenging project but well worth the time and energy, as it is so cost effective when compared with buying a new headboard.